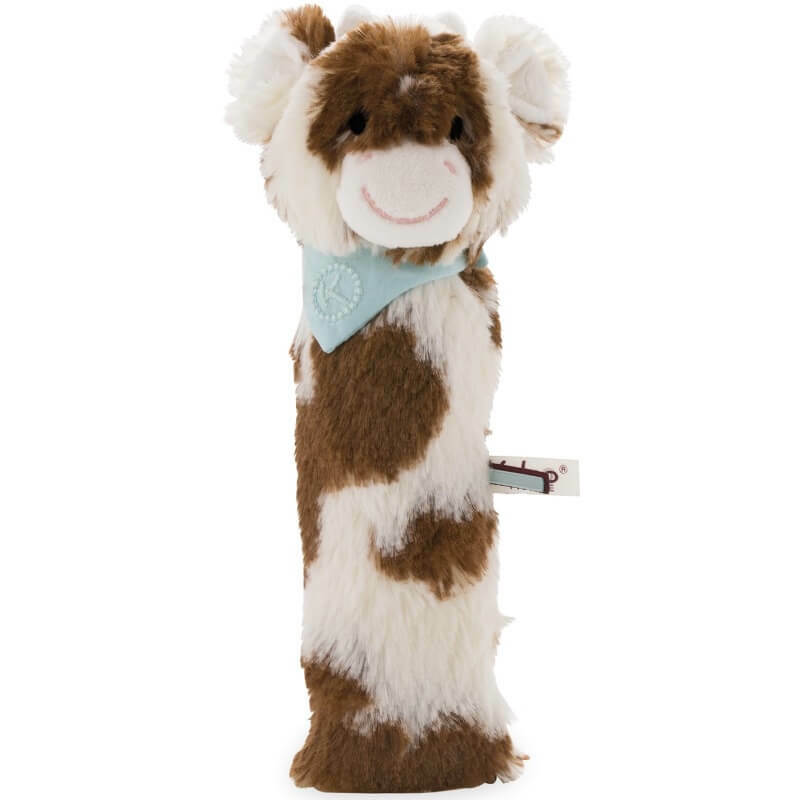 Kaloo Les Amis squeaker cow brown and white is a super-soft, easy-to-grip rattle that loudly squeaks when squeezed. Newborns to toddlers will love gripping and shaking their adorable smiley faced little companion and making it squeal to get everyone’s attention. At 7.5in. (19cm.) it easily fits in a baby bag, so you can take it with you anywhere.